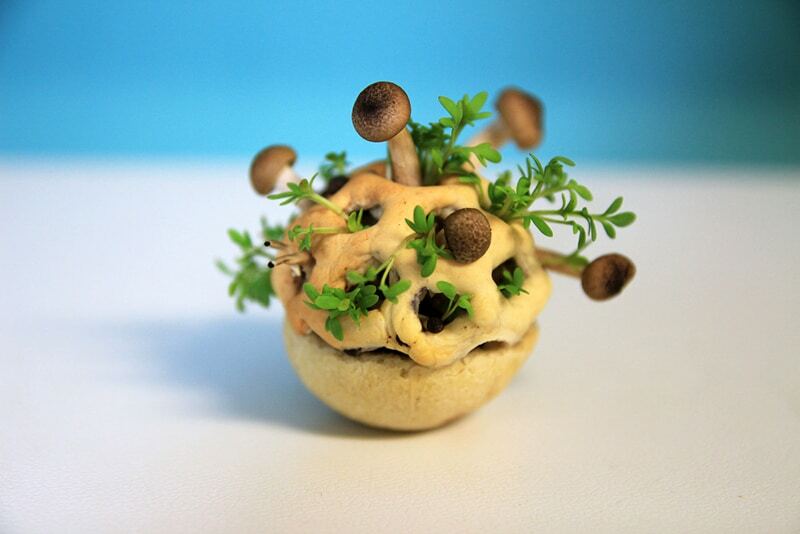 Edible Growth is an ongoing project by Eindhoven-based food designer Chloé Rutzerveld that blends food, gardening, and 3d printing. 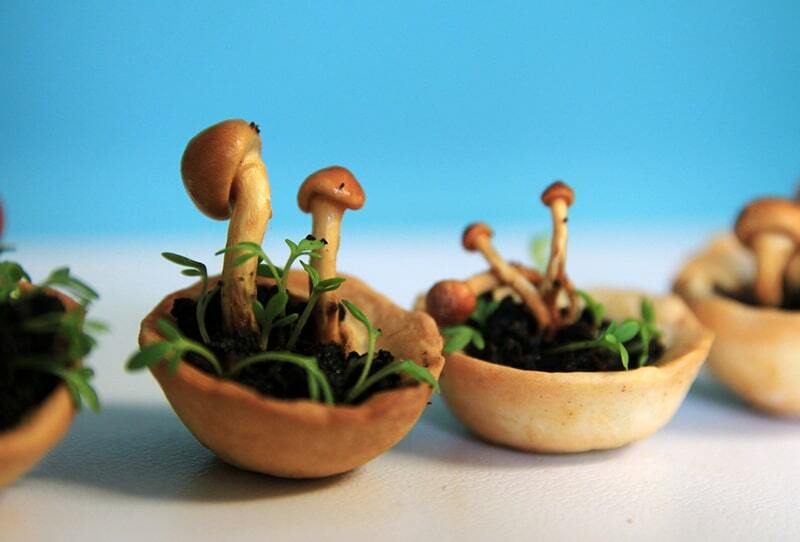 According to the designer: The Edible Growth is a 3D-Printed Food. The project fits the category “Food for Thought” and is partly created as a form of critical design. I want to show that high-tech food or lab-produced food does not have to be unhealthy, unnatural, and not tasteful. Edible Growth is an example of high-tech but fully natural, healthy, and sustainable food made possible by combining aspects of nature, science, technology and design. 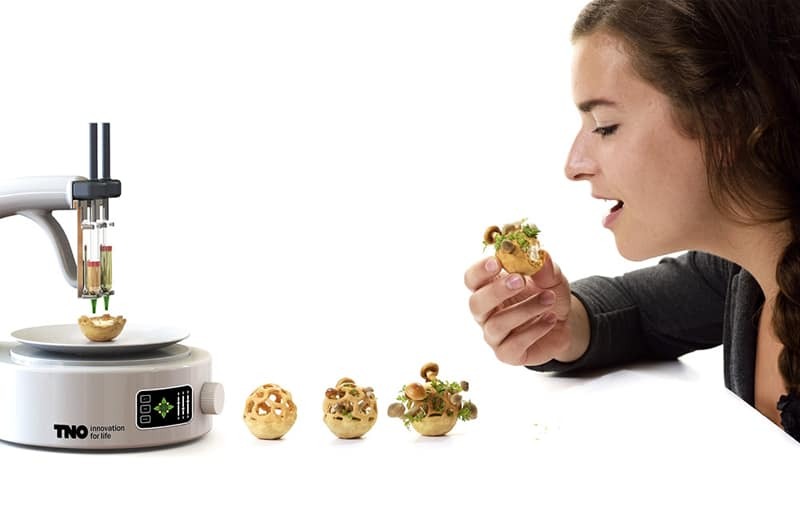 Edible Growth shows real growth, an intensifying flavor and structure, makes smart use of natural processes like fermentation and photosynthesis and lowers the use of resources. 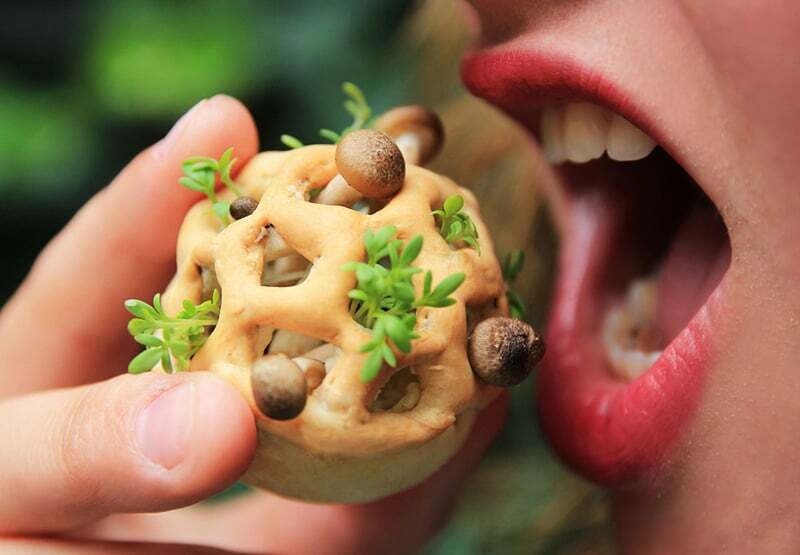 The concept of this 3D-Printed Food involves a specially printed outer casing made from dough that contains “edible soil” and various seeds. 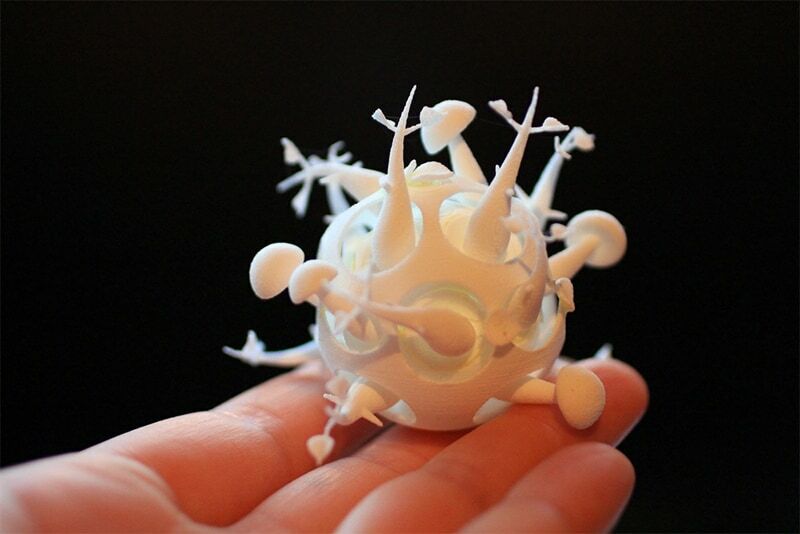 Once printed, it takes a few days for the seeds and mushrooms to germinate after which they start to poke out of the small holes on top. All that’s left to do is pop it in your mouth. 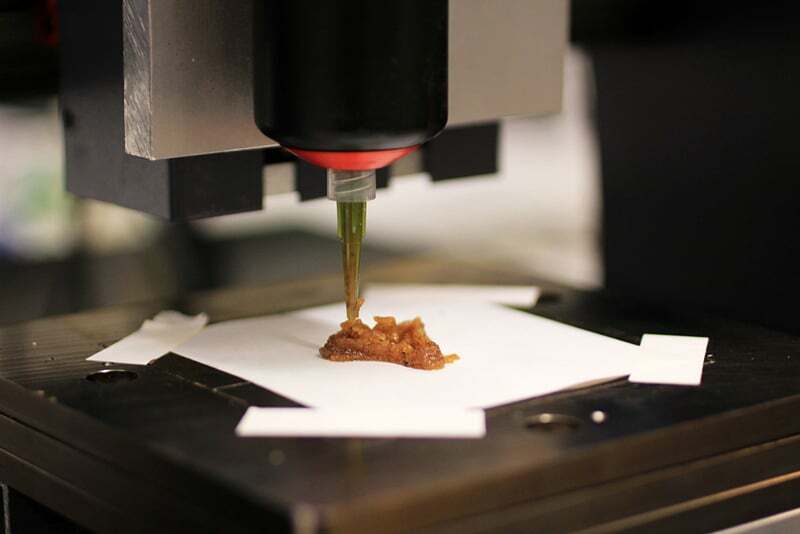 Rutzerveld’s design is currently just a concept and would involve several years of research, namely around 3d printing technology and issues of food safety. Regardless, it seems like the rest of the project would be fun just to try at home for the sake of novelty.